Cubicles are where your employees will spend a majority of their time while working from your office in the Tampa, Florida, area, so it’s important that these workstations are functional. Also, if you have clients in and out of your office, you’ll want to make sure the cubicles in your office are aesthetically pleasing. 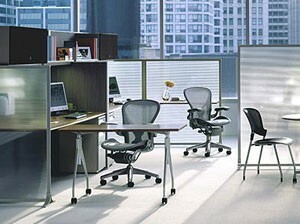 For functional and trendy cubicles, turn to the experts at Reusable Office Interiors. We can provide you with top-of-the-line cubicles for a fraction of the cost other businesses in our industry offer since we offer mostly gently used and refurbished office furniture, so your business can save money. Here at Reusable Office Interiors, we understand that you are busy running your business, so we provide a number of excellent services to make updating your office as easy as possible. We can deliver and install your new cubicles, as well as liquidate and recycle unwanted furniture for you. Plus, our talented designer can help you create an office space that your clients and employees will both be impressed with. If you would like to learn more about the cubicles we have available for businesses in and around Tampa, FL, contact Reusable Office Interiors today. Our specialists can answer any questions you have.